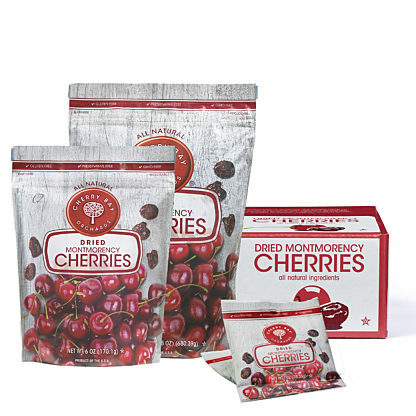 In a medium skillet over medium heat, combine the thawed Montmorency tart cherries and balsamic vinegar. 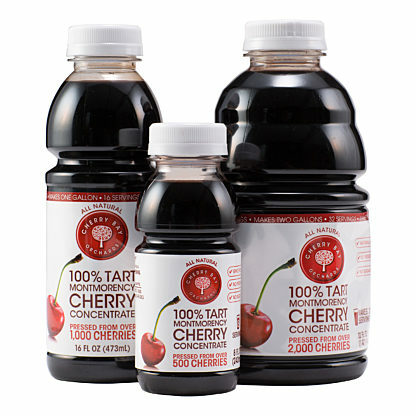 Cook down for about 10 minutes until the vinegar has reduced and thickened into a syrup and coated the cherries. Turn off heat and set aside. In a large bowl, combine the flours, oats, baking powder, baking soda, salt and sugar. Whisk together the buttermilk and vanilla in a small bowl. Add the wet ingredients to the dry and combine with a spatula. Spoon the Montmorency tart cherries from the pan leaving behind the extra balsamic into the bowl. Add the dried Montmorency tart cherries and chocolate chips and gently fold into the dough. Form a 9-10 inch circle with the dough on a baking sheet lined with parchment paper or a silpat. Using a wet knife, cut the circle into 8 wedges. Sprinkle the tops of the scones with the extra cane sugar. Bake for 20 minutes. 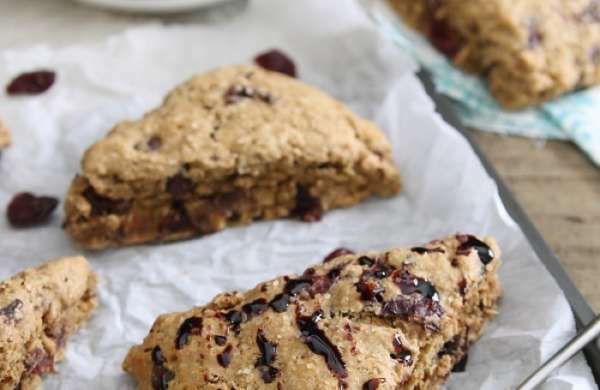 Remove the scones from the oven, using the knife, separate the wedges from each other so that they aren’t touching and return to the oven for another 3-5 minutes until the edges are golden and crunchy.